Member of East Lampung Regency Council, Lampung Province, have work visit to Jakarta City Council. In this work visit, they wanted to learn about disciplinary committee and litigation procedure (Pansus tatib) formation.
" 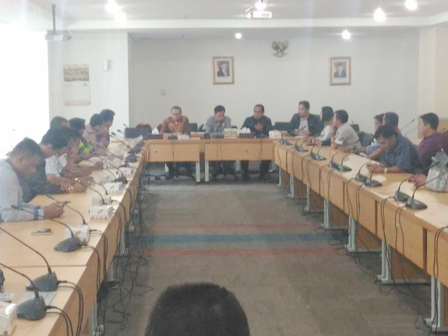 Later, the result of work visit will be reported in board meeting"
East Lampung Regency Council Disciplinary and Litigation Procedure Committee Head, Adi Sapri Marta, said that for now the regency council member's rule related to disciplinary is still on progress. Thus it is necessary to get feedback from another regions before the implementation. "Later, the result of work visit will be reported in board meeting," he said, Wednesday (2/8). While, Jakarta City Council Commission B Member, Syarifuddin, said that litigation procedure itself is supposed to not burdening council at work. "So, the rule should support council's work, not to hampered it," he closed.